While I rush to keep up with new games for work, I also enjoy going back to play games I grew up with. It started with the Sega Genesis and built to include things such as the Super Nintendo and PlayStation. But one console holds top billing in my heart: Sega’s ill-fated Dreamcast. I booted it up this morning to see what games were on my memory card. Before we start, I just want to point out how mind-blastingly cool the Dreamcast memory card actually is. The Visual Memory Unit, or VMU, is a small, Gameboy-like device that slots into your controller. Whenever you play a game, different designs show up on the screen: A tiny mobile suit for Gundam Side Story 0079: Rise from the Ashes, or character faces from Power Stone. 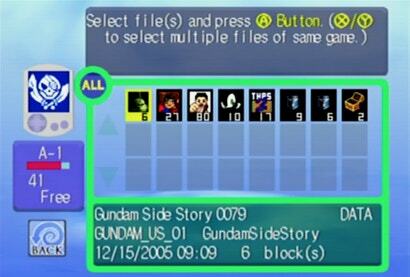 But because it’s also a portable device, you can take it out and manage your saves. Some titles, such as Sonic Adventure and Skies of Arcadia, even had mini-games to play on your VMU. For the former, you could raise your adorable Chao pets Tamagotchi style. For the latter, there was Pinta’s Quest, a small side-scrolling game where you could collect items to use in the full game. 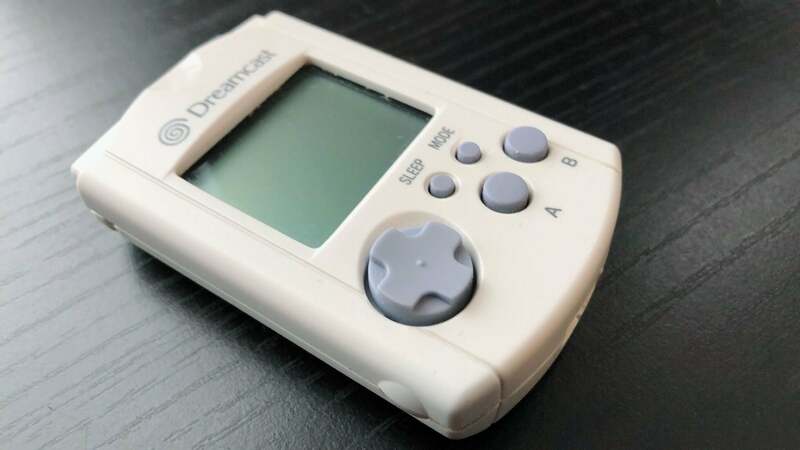 The Dreamcast was a wonderful experiment, and the VMU was an integral part of that. When I took a peek at my VMU’s contents today, I was both surprised and amused. There’s a fair bit of spare room in there. A VMU can hold 128KBs of data. Like with the Nintendo 3DS, files take up a certain amount of blocks, and I had 41 blocks free. If I want to, I could have save data for at least one or two more games. What remained on my VMU were some of the most essential games I’ve ever played, many well-known and others basically forgotten. It felt like opening the Ark of the Covenant without all the face melting, so I’m going to break it down game by game. There wasn’t anything else like Yu Suzuki’s slice-of-life open-world masterpiece when Shenmue launched. The idea that you could enter a room and open drawers was essentially mind-blowing, and the fact that it boasted a fully orchestrated score was a similarly big deal. 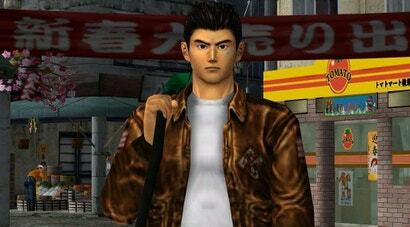 I know protagonist Ryo Hazuki’s story by heart; I’ve played this game dozens of times. I used to play through it each holiday season with my father. After Shenmue 2 failed to release on the Dreamcast in America and barely got a release on the Xbox, the series felt forgotten. Now, you can buy both on various systems, and Shenmue 3 is aimed for release this August. Side note: This is the biggest save file on my VMU at a whopping 80 blocks! Of course this was going to be on my VMU. I started a replay in January, which I’m trying to get back to after GDC. Skies of Arcadia is my favourite game of all time, something I’ve made clear on Kotaku over and over again. Skies of Arcadia is an optimistic tale of sky pirates and evil empires whose earnestness is so affecting to me that after nearly five years of writing about games, I still feel like I’ve never found the right words to describe what it means to me. I even have a tattoo from the game on my right forearm. Even now I have more plans in store for writing about it on Kotaku. It’s a part of me, an inextricable piece of my DNA. And if there’s a God, I really hope he can convince Sega to port it to PC. Giant mechs are great, mech games are great, but Rise from the Ashes tends to be ignored in any discussion of the genre. That’s a real disappointment since it’s one of the more intense and “real” Gundam experiences you can play. It places you right in the cockpit amidst a mobile suit team in war-torn Australia. 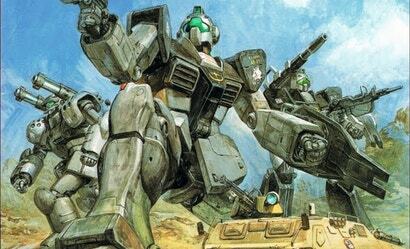 It’s as “boots on the ground” as you can get for a Gundam video game. Fighting a single enemy in close-quarters combat is a frantic mixture of dashes and rumbles, and taking on fortified bunkers is a big deal since you aren’t some anime hero. Fans of Gundam should seek it out ASAP; you won’t be disappointed. Side note: This is the oldest save on my VMU, dating all the way back to 2005. That seems like a long time, but it’s four years after the Dreamcast itself was discontinued. This is a rough one to play nowadays, but Sonic Adventure’s ambition meshed perfectly with the Dreamcast’s freewheeling nature. Moving to the third dimension was not smooth for Sonic, as his speed often outstripped what the camera could reliably follow. 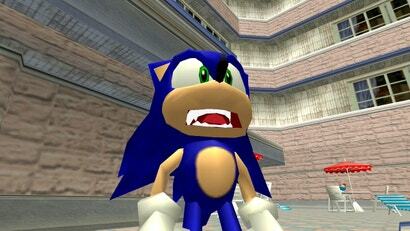 But Sonic Adventure does more than just Sonic — there’s a full story campaign with six playable characters, all intersecting at various points. Also: Hub worlds. This wasn’t simply a string of levels. There was a world to explore, which was pretty damn cool. Nothing’s ever quite followed the same format since then, and just seeing this on my VMU makes me eager to replay. 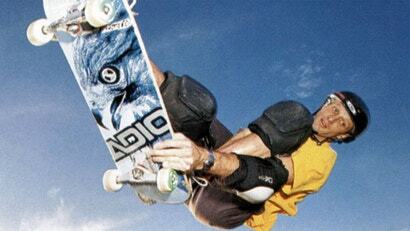 It isn’t as nostalgic as the original, but THPS2 is definitely the better game in all respects. With a more varied soundtracks that set Rage Against the Machine and Powerman 5000 alongside Naughty by Nature and Sub Pistols, there was always a good song to shred to. This is also the game that first added manuals (think wheelies for skateboards), which were essential for building the massive combos that defined the series. It’s pure fairy floss with a balance of arcade flash and enthusiast detail that formed a love letter to all things skateboard. This is probably the most random game on my VMU, for now. 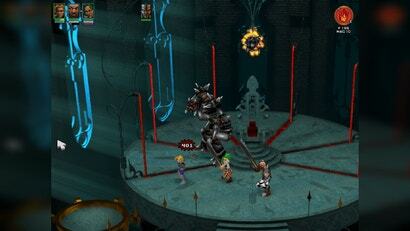 Silver is an old RPG about a generic dude named David trying to save his wife from an evil emperor. What was unique about it was the combat. Depending on how you moved the analogue stick (while holding down I believe the right trigger?) you could slash horizontally, thrust your sword and hop back. It isn’t as in-depth as games that would come after it, such as Neverwinter Nights, but there was just enough to keep you guessing. Silver felt like a game that came too soon. The recruitable companions, interesting combat and gorgeous pre-rendered backgrounds never really combined into anything coherent or narratively compelling. Still, I played the crap out of this one, and it’s actually available on Steam now. And that’s it! I’m a bit surprised there aren’t more, but having Shenmue on my VMU really limits how much I can cram in there. None of my favourite fighting games are there, either Marvel Vs. Capcom or Powerstone, and I could have sworn that I had a file for Legacy of Kain: Soul Reaver. Still, many of the essential and important games remain. Their data has followed me for over a decade, and I still play them from time to time when I want to remember why I do the work I do. I loved this console. Traded it in to upgrade. Wish every time I read about one I didnt. Mine has saves for Shenmue, Power Stone, LOL: Lack Of Love, Grandia II, Sonic Adventure and Space Channel 5 on there.